Left to right: Martin Bertram, Chair, Scottish Police Benevolent Fund; Neill Whiteside, PSOS Inspector and OTW camp volunteer; Mark Dwyer OTW Camp Director; Susanne Convery OTW Regional Coordinator and John Welsh, OTW Trustee and Lead, Scottish Development Board. 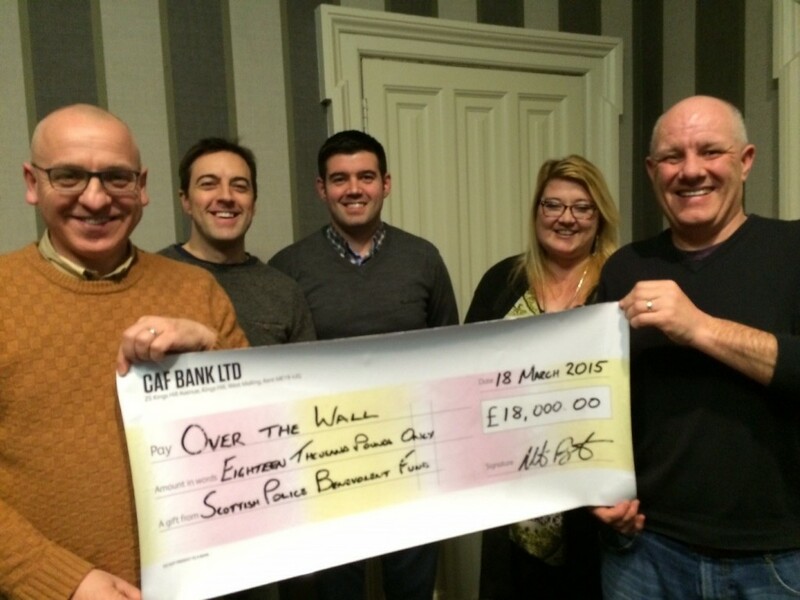 The Scottish Police Benevolent Fund is delighted to support the “Over The Wall ” Charity with £18,000 of funding over the next three years. Over The Wall delivers life changing camps for seriously ill children, their siblings and families. The charity has previously been supported by Police Scotland through the provision of its premises at the Scottish Police College, Tulliallan. Many Police Officers and Staff, such as Inspector Neil Whiteside, have also volunteered their time, expertise and enthusiasm at the camps.